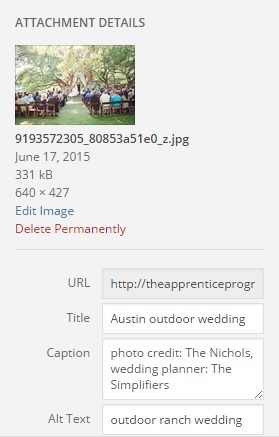 The first thing to do is to make sure your image file name is searchable. Secondly, you need to provide accurate alternate text. This is the text that shows up if the image is unable to load, or if you need to click to accept the image before it is revealed. So for this reason, the alt text needs to say what the image is about. This also helps the search engines figure out whether its relevant to what your client is searching. 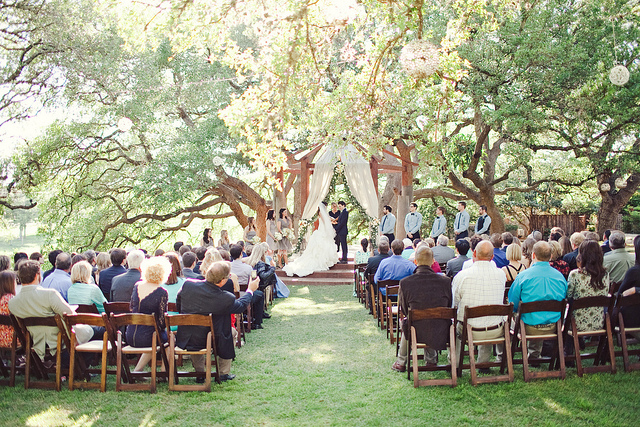 You can see here that for the image above, the alt text we’ve used is ‘outdoor ranch wedding’. Finally, supporting text is often useful if you want your photos to rank well. Surrounding your photo with text about the picture shows how the picture is relevant to the content, something which is often considered favorably by search engines. You can manipulate these things very easily on the back-end of your website, whether you use WordPress, Wix or Squarespace. Ask your webmaster and you’ll be surprised how this tiny change drives so much new traffic to your website. Now you know how to use your portfolio photos, here’s how these simple tips will help you! Any SEO you do will increase your overall search ranking, therefore driving more traffic to your site. A picture is worth a thousand words – powerful images will tell a client more about the quality and style of your work than pages and pages of description. By increasing the number of clients that see your work, it is likely that your number of bookings will go up too. If you combine these tips with those mentioned in our previous blog post, you’ll be well on your way to using SEO in smarter ways to book more brides!